Dr. Tom Cocklereece, CEO of RENOVA Coaching and Consulting, LLC and Coach/Teacher/Speaker for the John Maxwell Team. 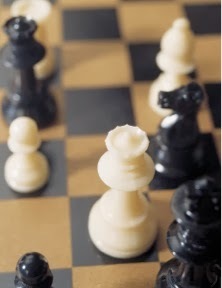 I play chess almost every day because I love the game and it reminds me of a few things about discipleship. When Thom Rainer and Eric Geiger in Simple Church challenged church leaders to simplify ministry and focus on making disciples, God used my love for chess to lead me to develop a discipleship strategy called Simple Discipleship. They remained focused on Jesus and the biblical mandate to make disciple-makers, not just converts. They simplified their ministries by aligning or eliminating anything that does not contribute to making disciple-makers. They stuck to their strategy of leading change instead of managing the status quo which is what many churches do. They moved carefully but deliberately to develop urgency, buy-in, and momentum for change. They prayed and anticipated the actions and reactions of the opposition; this would not only include Satan but also undiscipled, immature Christians. They accepted as few and small losses as possible while taking big gains by making discipled warriors. They did not run Simple Discipleship as a program that has an end, but maintained it as a disciple-making process. I take chess seriously, but making disciple-makers is the most important activity for all Christians. Whatever your approach to discipleship, make sure your church has a strategy that equips believers to make the right moves as they navigate the chess board of life.